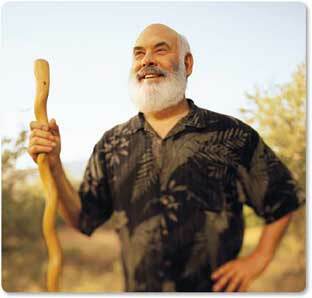 A couple of nights ago it was our privilege to hand Dr. Andrew Weil SpaFinder’s 2009 Visionary Award. Simmone, Dulcy, and I gave Dr. Weil his award for his tireless efforts to bridge the worlds of medicine and spa, and his prediction decades ago, that the hospital of the future would look more like a spa. Dr. Weil’s background includes being a Harvard Medical School-trained doctor, becoming a pioneer in integrative medicine, writing 12 books (mostly best sellers) and working with spas – notably Canyon Ranch and now Miraval. Given that the U.S. is on the eve of health care reform and other countries are also struggling with how to contain their health care costs, I think it was fascinating to hear what Dr. Weil had to say in that regard – and what all this means for the spa and wellness industry. Last night Dr. Weil was on Larry King Live. Check out the link to hear the actual 18-minute segment.